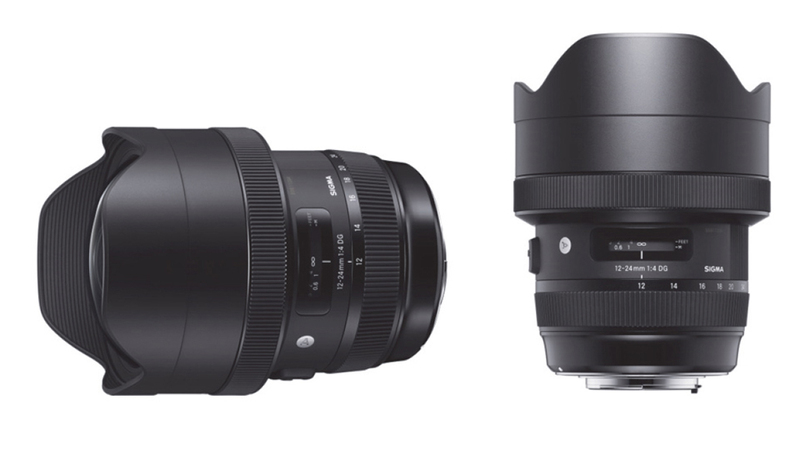 At Photokina 2016, Sigma announced two new additions to their globally renowned ART series of DSLR lenses. Architectural, interior, landscape and nature photographers will love this Art version of Sigmas venerable 12-24mm ultra-wide zoom lens. This beauty promises a significant update to the previous version. New features include a constant f/4.0 aperture and Sigma’s new Hyper Sonic Motor for that delivers 1.3 times more torque for smooth almost instant autofocusing. FLD elements (similar to fluorite elements) deliver photographs that are sharp edge to edge. The largest aspherical element in the industry minimizes distortion, ghosting and flare. The contrast and sharpness of is Art lens is in keeping with the performance tradition set by the entire line of Sigma Global Vision Art lenses. $1,599.00 suggested retail price. Dealer pricing may vary. Portrait, fashion and anyone who loves working with a slightly-longer-than-normal prime lens will love this update to original Sigma’s original 85 f/1.4. Like its predecessor, this beauty features a 9 blade aperture for creamy almost round bokeh. Its brand new optical design has 14 elements in 12 groups, including 2 FLD elements and one that has a high rate of anomalous partial dispersion with high refraction. Translation: Great color and contrast, low flare and spectacular sharpness. The new 85 art also has the high torque HSM autofocus system for ultra fast follow focus. Manual focus can be used even while autofocus is in action. The minimum aperture is f/16, filter size is 86mm and the angle of view is 28.6º. $1,199.00 suggested retail price. Dealer pricing may vary. A source at Sigma Corporation of America told me that these new lenses would be in stores toward the end of this year. Full disclosure: I am listed on Sigma’s website as a Sigma Pro. I am no longer under contract with Sigma to say nice things or to promote their products. I make my living with Sigma lenses. My 12-24mm f/4.5-5.6 DG HSM II and my original 85mm f/1.4 DG HSM lenses have been the backbone of my architectural and portrait business. I count on these lenses and, simply, they deliver for me. I am really excited to add these to my current set of Sigma Global Vision Art lenses. Those are exciting announcements. I’m surprised that the 85mm has an 86mm filter ring. That’s a big piece of glass! Yes it is, Levi. Sigma has gone from a 77mm on the current (non-Art) version to an 86mm filter size for the new lens. I am guessing that addition of the flare reducing pair of FLD elements might have something to do with it. Fortunately, I have an 86mm polarizer already. I’m hoping Sigma has one to show at Photo Plus. After using the original 85 1.4, and being totally impressed, what are the improvements to the “art” version? Also did you find that the minimum of F16 hindered some of your architecture fine detail shots ? I have become a fan of Sigma in the last two years. 10 years ago when I owned a camera store in the Chicago area I used to tell my customers I’m protecting them from disappointment when they asked me why I didn’t carry Sigma. They have made many good improvements.